Vice President, Prime Minister and Ruler of Dubai, His Highness Sheikh Mohammed bin Rashid Al Maktoum, and His Highness Sheikh Mohamed bin Zayed Al Nahyan, Crown Prince of Abu Dhabi and Deputy Supreme Commander of the UAE Armed Forces, held a meeting at Zabeel Palace in Dubai this evening with His Highness Sheikh Sabah Al-Ahmad Al-Jaber Al-Sabah, Emir of Kuwait. Their Highnesses reiterated the importance of stepping up regional and international coordination to combat extremism and terrorism and to block their financing sources. 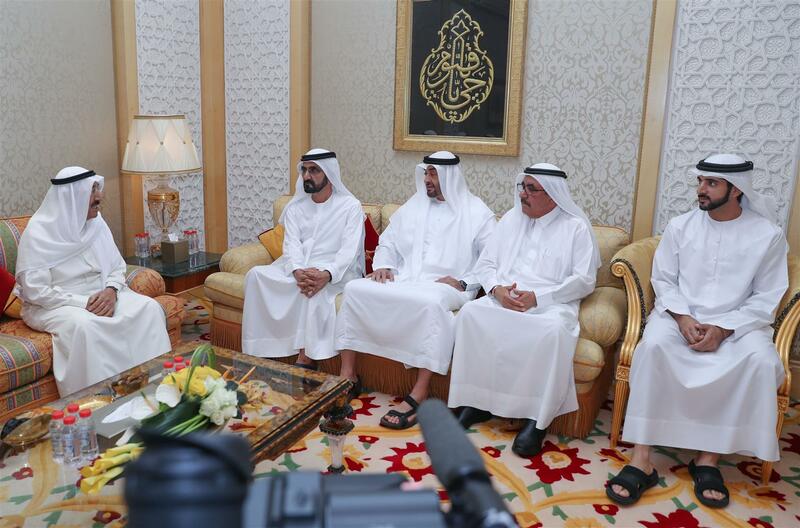 Sheikh Mohammed bin Rashid and Sheikh Mohamed bin Zayed praised the role of the State of Kuwait, under the leadership of His Highness Sheikh Sabah Al-Ahmad Al-Jaber Al-Sabah, and their endeavours for a more stable future for the GCC and the Arab world. The meeting was also attended by H.H. Sheikh Hamdan bin Mohammed bin Rashid Al Maktoum, Crown Prince of Dubai; H.H. Sheikh Hamdan bin Rashid Al Maktoum, Deputy Ruler of Dubai and Minister of Finance; H.H. Lt. General Sheikh Saif bin Zayed Al Nahyan, Deputy Prime Minister and Minister of Interior; H.H. Sheikh Mansour bin Zayed Al Nahyan, Deputy Prime Minister and Minister of Presidential Affairs, and H.H. Sheikh Abdullah bin Zayed Al Nahyan, Minister of Foreign Affairs and International Cooperation. While on the Kuwaiti side, the meeting was attended by Sheikh Sabah Khalid Al-Hamad Al-Sabha, First Deputy Prime Minister and Minister of Foreign Affairs, Sheikh Mohammed Abdullah Al-Mubarak Al-Sabah, Minister of State for Cabinet Affairs and Acting Minister of Information, Ahmed Fahad Al-Fahd, Director of His Highness the Emir's Office, and Salah Mohammed Al-Baijan, Ambassador of Kuwait to the UAE. 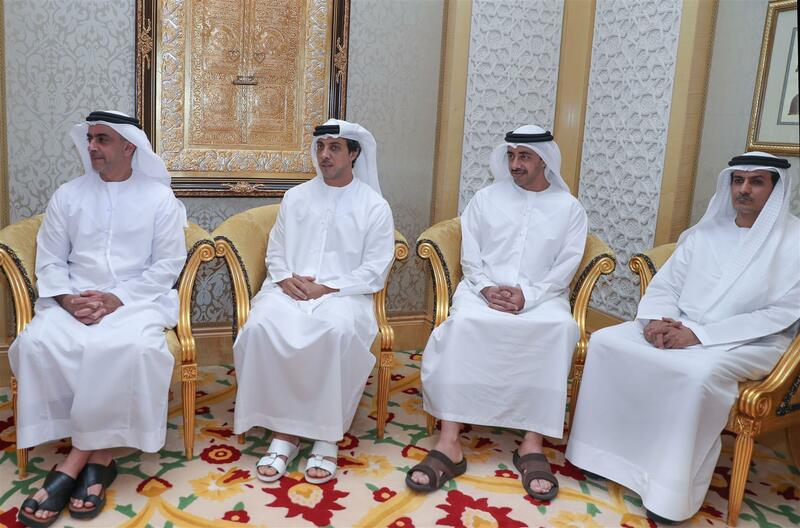 Later, His Highness Sheikh Sabah Al-Ahmad Al-Jaber Al-Sabah returned to his country, following a short visit to the UAE. He was seen off at the Dubai International Airport by Vice President and Prime Minister and Ruler of Dubai His Highness Sheikh Mohammed bin Rashid Al Maktoum, Deputy Ruler of Dubai and UAE Minister of Finance H.H. Sheikh Hamdan bin Rashid Al Maktoum, Minister of Foreign Affairs and International Cooperation H.H. Sheikh Abdullah bin Zayed Al Nahyan, and Kuwaiti Ambassador to the UAE Salah Mohammed Al Be'aijan.